Why do you need a bag for hoverboard. 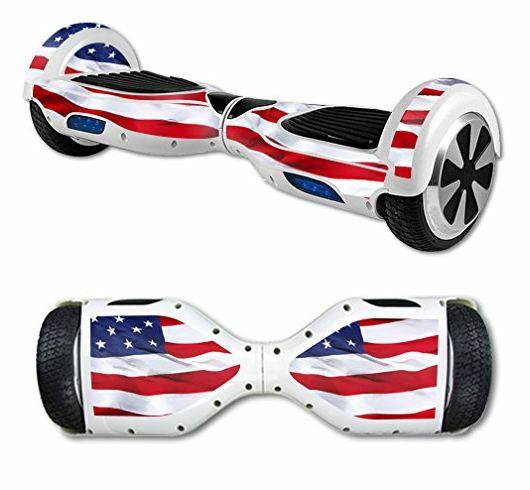 Well, we suppose that you won’t be carrying it around in your hands, hoverboards are pretty heavy. 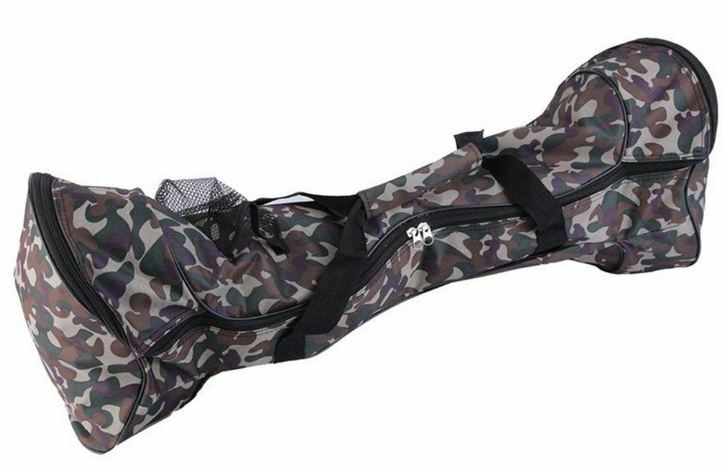 Now you can find hoverboard bags in different sizes and colors and that is why we have decided to help you and propose some of the best hoverboard bags that you can find on the market. Basic choice would be a bag like Z ZTDM 1680D Oxford Fabric Scooter Handbag which comes in 6,5 to 8,5 inches and in blue, black, red and red and black combination. 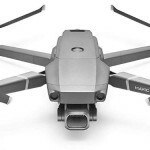 Price range is from $9.41 to $16.99 depending on model and color. Check the photo below. 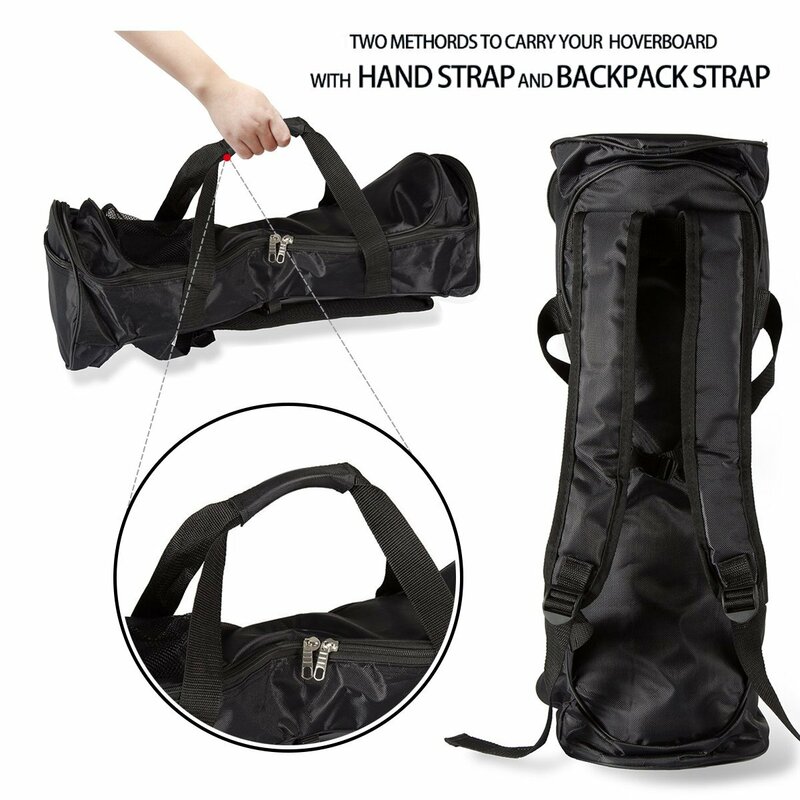 Also, we like FBSport Scooter Carrying Bag & Backpack in black which could be great if you need to carry your hoverboard on longer distances. We recommend to you to buy this option and the price is just $19. And if you like camouflage design there are two great camo models. We picked the Waterproof Carrying Bag and Handbag in 6.5″, 8″ and 10″ sizes. 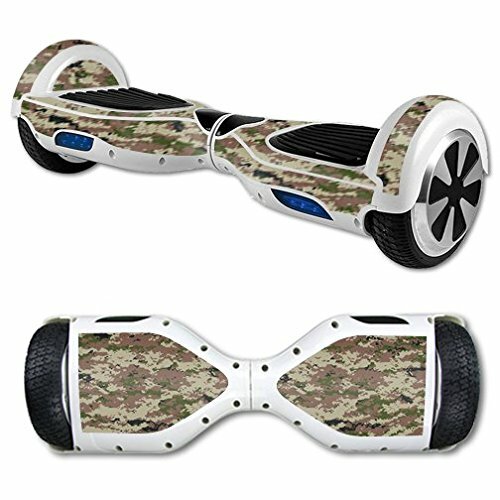 Also, this model is available in camo, blue, black and red color. 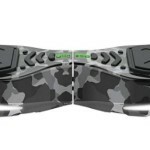 Protective vinyl Skin Decal in Urban Camo. 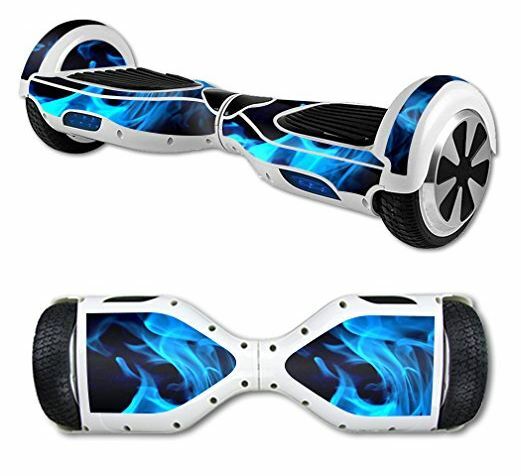 Some of the most present and known producers of vinyl skin decals for hoverboards are MightySkins and CoolSkin and you can buy them here. 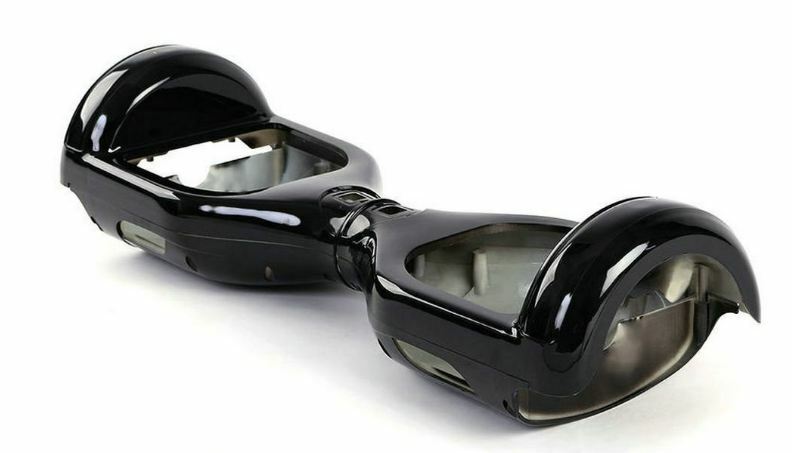 Replacement covers for hoverboards are among most expensive hoverboard accessories but this is extra in ordinary hoverboard accessories. 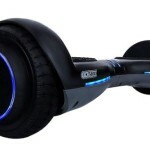 Now you can change the style and color of your hoverboard daily and everybody will see it for sure. 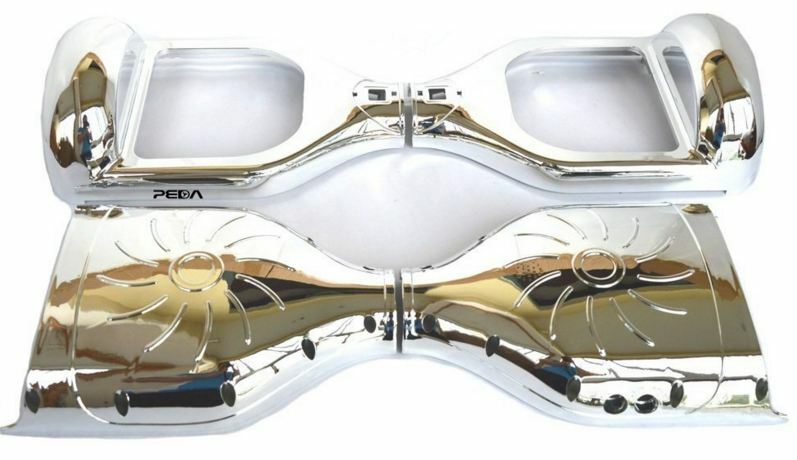 Two most known brands for hoverboard replacement covers are SEGMART, HOVERFIXER and PEDA. Even if SEGMART and HOVERFIXER are offering greater pallet of colors we liked PEDA replacement covers more. They come in 6,5” and 8”. 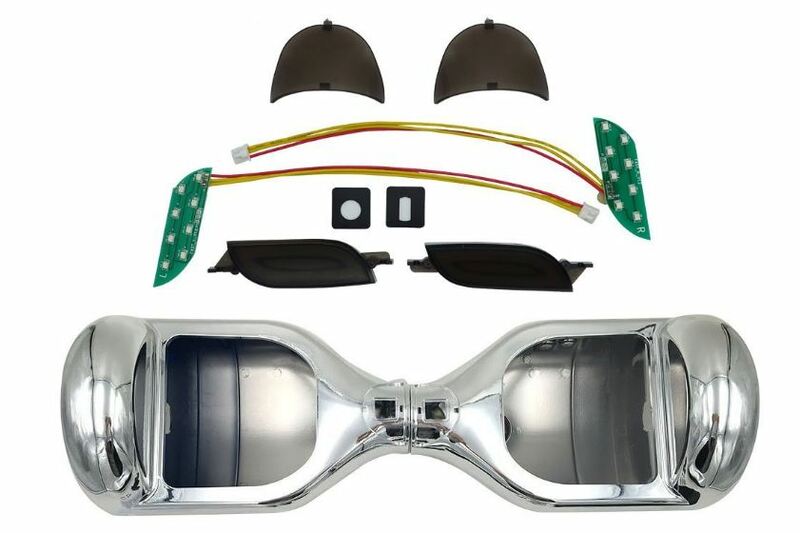 In picture below is PEDA Chrome 6.5-Inch Replacement Cover. Also, separate cover parts are also available from mentioned producers.